If you answered “yes” to any of these questions, you may have a drinking problem. Check with your doctor to be sure. Your doctor will be able to tell you whether you should cut down or abstain altogether. If you are alcoholic or have other medical problems, you should not just cut down on your drinking–you should stop drinking completely. Your doctor will advise you about what is right for you. Now–write your drinking goal on a piece of paper. Put it where you can see it, such as on your refrigerator or bathroom mirror. Include the date you’ll start cutting down; how much alcohol you will limit yourself to every day; or what your weekly limit will be; or that you will stop drinking altogether. Keep a “diary” of your drinking. Write down every time you have a drink for one week. Try to keep your diary for three or four weeks. This will show you how much you drink and when. You may be surprised. How different is your goal from the amount you drink now? Keep a small amount or no alcohol at home. Don’t keep temptations around. Take a break from alcohol. Pick a day or two each week when you will not drink at all. Then, try to stop drinking for one week. Think about how you feel physically and emotionally on these days. When you succeed and feel better, you may find it easier to cut down for good. Learn how to say NO. You do not have to drink when other people drink. You do not have to take a drink that is given to you. Practice ways to say no politely. For example, you can tell people you feel better when you drink less. Stay away from people who give you a hard time about not drinking. Stay active. What would you like to do instead of drinking? Use the time and money spent on drinking to do something fun with your family or friends. Go out to eat, see a movie, or play sports or a game. Get support. Cutting down on your drinking may be difficult at times. Ask your family and friends for support to help you reach your goal. Talk to your doctor if you are having trouble cutting down. Get the help you need to reach your goal. Watch out for temptations. 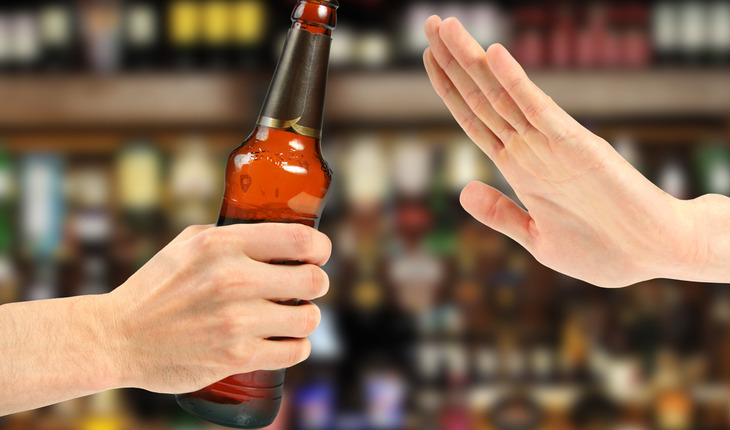 Be cautious about people, places, or times that make you drink, even if you do not want to. Stay away from people who drink a lot or bars where you used to go. Plan ahead of time what you will do to avoid drinking when you are tempted. Keep at it. Most people do not cut down or give up drinking all at once. Just like a diet, it is not easy to change. That is okay. If you do not reach your goal the first time, try again. Remember, get support from people who care about you and want to help. Do not give up! Reprinted courtesy of the National Institute on Alcohol Abuse and Alcoholism. To visit the agency’s website, click here.